Late in the day before Thanksgiving as I was preparing dishes for our meal the next day, I started thinking about what I was going to do with leftovers. I decided on a few ideas like the usual turkey soup, turkey pot pie, and an old family recipe for homemade noodles with the turkey. As I was pondering ideas, Bill walked in with the mail. There was a package from someone I didn’t know – Laurie in Washington. The town was called Maple Valley, which sounded peaceful and like a Hallmark movie name. As dinner was simmering, I opened the package. There was the sweetest note from Laurie who had read about my flood of The Culinary Cellar, and she wanted to offer some cookbooks. 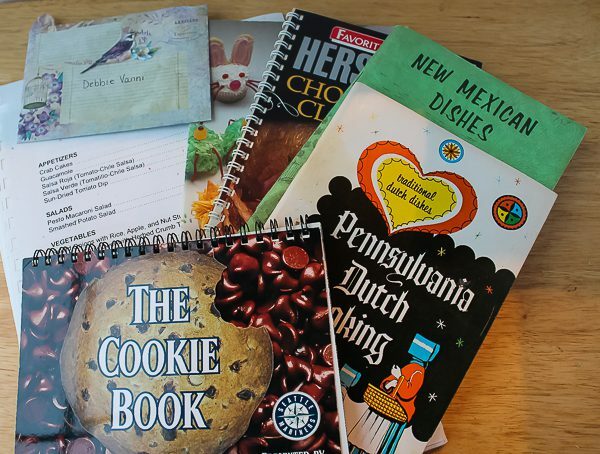 There was a children’s cupcake book, a Hershey’s chocolate, interesting recipes from New Mexico, a great cookie book, and a Pennsylvania Dutch Cookbook which I had before the flood and was happy to replace. There was also a big packet of loose leaf recipes, all sounding wonderful. I started reading the pages thinking I might find something to make using leftover turkey. 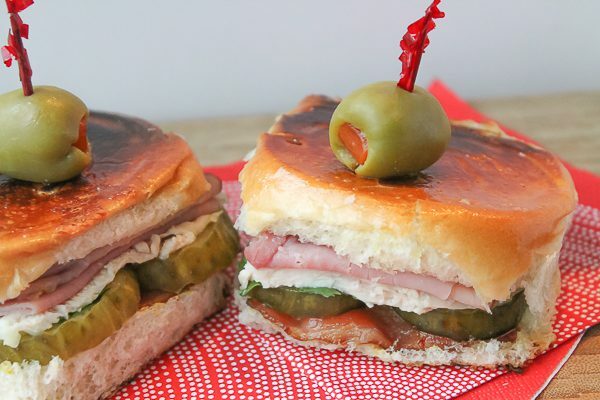 I found a great-sounding recipe for Cubano sandwiches using turkey, ham, bacon, and pickles. It is not an authentic Cubano, but was so good with the turkey. I would make these again in a heartbeat! Thank you, Laurie, for the Thanksgiving surprise and a great new sandwich idea for my recipe box. Next up, I’ll make some of those cute cupcakes for my granddaughter’s 2nd birthday coming up soon. Combine oil and garlic, set aside. Spread cut side of rolls evenly with mustard. Place 1 cheese slice, 2 bacon halves, 3 dill pickle pieces, and ½ teaspoon cilantro on bottom half of rolls. Divide ham and turkey evenly and place on top. Add another slice of cheese to each and then add top half of roll to each. Brush reserved garlic oil over outside of rolls. Heat a large nonstick skillet over medium heat. Add 2 of the sandwiches to pan. 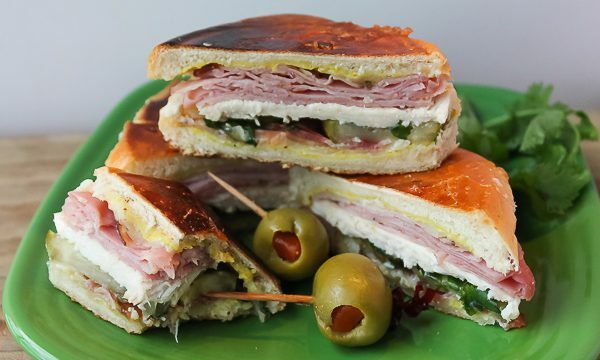 Place a cast iron pan or a heavy skillet on top of sandwiches and press gently to flatten. Cook 3 minutes on each side or until cheese melts and bread is toasted, leaving the cast iron skillet on top of sandwiches while cooking. Repeat with remaining sandwiches. That looks great! I have my mother’s copy of that Pennsylvania Dutch cookbook…love it! Hi Cleo- I was very happy when I saw the Pennsylvania Dutch cookbook in the package. It was one of the books I had for a long time and lost in the flood, and now I have another copy. It’s a good one!